Sony and Vaio have now parted ways leaving Vaio open to take on the Xperia series on with its own contribution to the smartphone game. 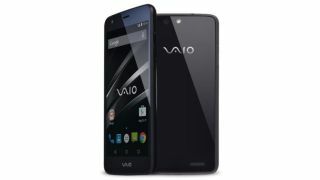 Vaio has made the first step by launching the ingeniously titled Vaio Phone that will be available in Japan on March 20. The Vaio Phone offers a 5-inch display with a 720p resolution alongside a 1.2GHz processor with 2GB of RAM. As for storage, there's 16GB on board with 64GB microSD support and a 2,500mAh battery on board. It's running Android 5.0 Lollipop software with Vaio's own UI on top and there's a 13MP camera on the back with no news of the front camera sensor. As for the design of the handset, it has a plastic body with curved sides and a flat glossy back panel. According to Vaio the design is "simple and stylish" but to us it's looking pretty all round average. There is no news whether the handset will be launching outside of Japan but for those living there it's not going to come cheap. It'll either cost 4,000 yen (about £22, $33, AUS43) a month with unlimited data on the countries b-mobile or it can be bought outright for 51,000 yen (about £280, $420, AUS550). Here's our review of the latest Sony Xperia Z3.